Covered in Realtree XTRA GREEN camouflage for ultimate concealment. Fully Multicoated Eco-Glass Lenses deliver the ultimate in brightness and resolution. Phase-correction High Reflective Silver-Alloy Prism Multicoatings provide clear, high-contrast images that display accurate color reproduction. Durable and Protective, Rubber-armored Coating ensures a non-slip grip, in wet or dry conditions. 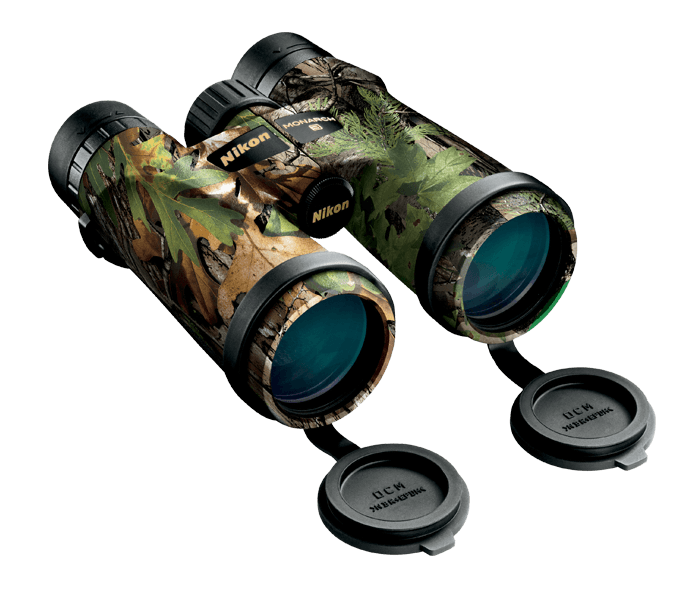 A lightweight, slim design gives this binocular excellent ergonomics, strength and ruggedness in a package that is comfortable to carry all day. The MONARCH 3 has a smooth central focus knob for a fast range of focus and quick viewing. Multi-setting Click Stop Eyecups make it easy to find the correct distant between the user's eye and the eye piece to ensure a clear comfortable view, with or without eyeglasses. Nitrogen filled and O-ring sealed for waterproof/fogproof performance.